Track your transformation over time! → and live with more joy! I’m so glad I’ve purchased your beautiful work… It’s what I have honestly been searching for for so long now. Now I will have to MAKE the time to use efficiently. Thank you again, you have done a lovely job. Reflecting back over my journal over multiple years now is gold! And the moonthly cycle of setting my intentions, gratitudes and letting go has helped me so much with singing up a more balanced, loving and gentle life. I loved using your journal this year, thanks for all your amazing work! It’s the first time I’ve been able to develop a consistent journalling practice, which also means this is the first time I’ve also been able to actually track what is coming up at different times. I love your journal, and it has already become one of my best companions! Thanks you soooo very much. I love it already and I haven’t even printed it out yet! Each phase of the Moon represents different opportunities – for dreaming, gratitude, harvest and surrender. The Lunar Journal invites you to record your life in shorthand throughout the month, noticing what’s arising and attuning to the energy of each phase. When we attune to these cyclical opportunities, we operate in a flow state, rather than pushing ourselves to just keep going without replenishing our energy. Ancient Europeans celebrated the equinoxes and solstices that frame the solar year, as well as four festivals in between each of these. These were times of connection, where the community honoured the seasonal energy with a whole range of different traditions. 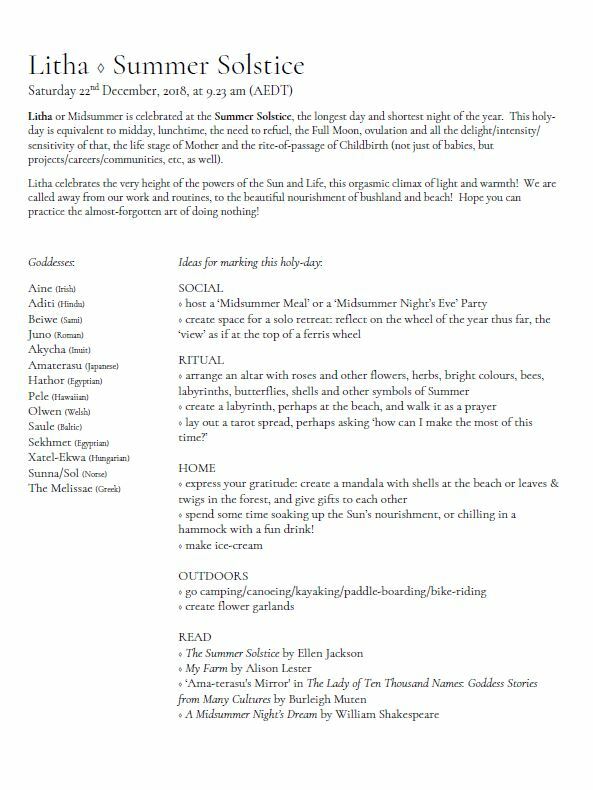 The Lunar Journal includes suggestions for how to mark these natural festivals – AKA sabbats – with social gatherings, personal ceremonies, altars, a list of associated goddesses, food, outdoor activities, and books to read, etc! (AKA Priestess Your Life) in 2019!! This is the fifth year that the Lunar Journal has been in existence, ever evolving into the next version of itself! Back in 2013 I undertook a life-changing, year-long course called the Four Seasons Journey with a magnificent teacher called Jane Hardwicke Collings. She shared the wisdom of the cycles – the way nature has of unfolding in a cyclical manner: birth, growth, full bloom, harvest, decay, death, (re)birth… and so on! This Way is written on our bodies, especially as women. This information was so enlivening, a significant piece in a slow and ongoing dismantling of the linear patriarchy within me. 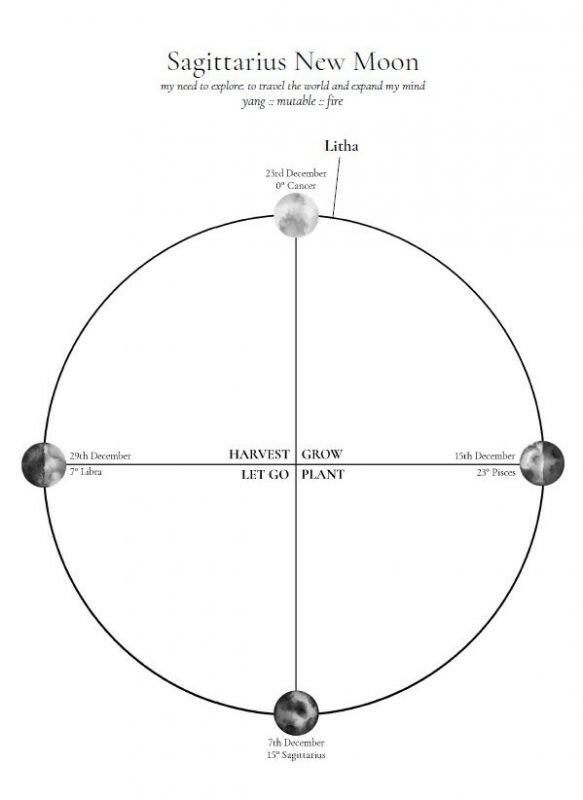 Hence, I created the Lunar Journal as a reference and resource to help myself and others make the most of the opportunities that are present throughout the cycle, including in the phase of death and letting-go. And I’ve been using and recreating it ever since! I hope you find it a beautiful addition to your self-care practice! Each month the Moon moves through all twelve signs of the zodiac. Each sign, from Aries to Pisces, is an archetypal treasure chest, rich in story and symbolism relevant to us all as multi-faceted humans! And of course, we have a resonance with particular signs, depending on when we were born and what was going on celestially at that special moment! The Lunar Journal contains a simple menstrual tracker, so that you can include this valuable body cycle in your reflections! You are also invited to call in a power animal and Matron Goddess for the year – symbolic, archetypal guides who can broaden our perspective and inform our year’s unfoldings. Covering both sides of the world! 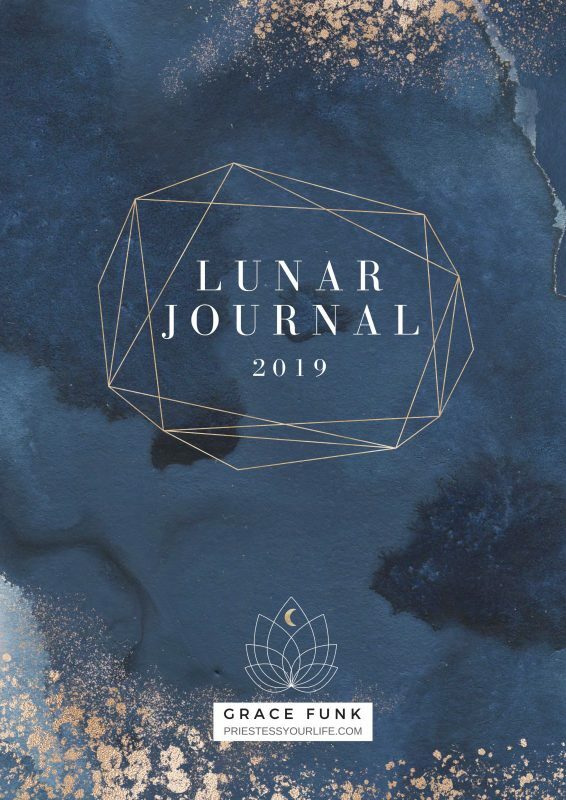 If you purchase a digital copy of the Lunar Journal 2019, it is highly recommended that you print it out and get it bound, for ease of use! You can choose to print single-sided, to include space for extra notes/reflection, or double-sided to minimise weight and paper. The pages in the hardcopy of the Lunar Journal 2019 are double-sided (different from last year). You may want to print it in a smaller format, such as A5, or you may want to add extra pages for customised reflection and journalling. It will set you back around $4 to bind your Journal at Officeworks. You may choose to get your Lunar Journal 2019 bound at the end of the year, if you add pages in as you go, like artwork. 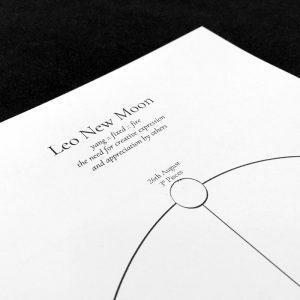 Shipping within Australia is $5 for single Lunar Journals. Shipping within Canada is $6 for single Lunar Journals. Want to gift a few copies to friends for Christmas? or own a shop where the Lunar Journal might fit right in? – that’s more than 30% off! Buy the Lunar Journal today! → and live in the Flow! And bring it on, cos we need more people living in the Flow!